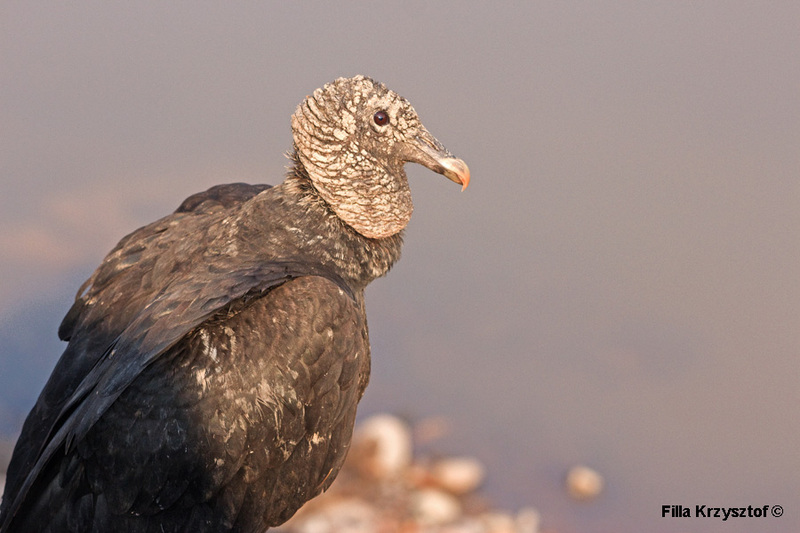 The black vulture (Coragyps atratus) often live in close vicinity to humans as they scavenge on the dumpsters and landfills. They are more aggressive than other vultures and can hunt in flocks on small mammals. For a long time they have been disliked by farmers as they often pray on new born calves.